This fundamental question human intellect has faced for eons. With time and advancements, this quest grew more currency. Early in this decade, based on the Kepler Space Mission data, astronomers reported that there could be as many as 40 billion Earth-size planets in the systems of Sun-like stars and red-dwarfs in the Milky Way galaxy alone while 11 billion of those estimated planets may be orbiting in the Green Belt of Life Zones, popularly known as Goldilocks Zones of the G category solar stars; many of them are potential earths timing with life and some could be well habited by races like ours! We are talking about one humble galaxy only, the Milky Way – there are yet 100 billion galaxies rest aside, most of them contain three folds or even more star numbers! In search of extra-terrestrial intelligence (SETI), Voyager 1 and 2 were launched in 1977. On August 2012, Voyager 1 made the historic entry into interstellar space, the region between stars filled with material ejected by the death of nearby stars millions of years ago. Voyager 2 entered interstellar space on November 2018. Both are still sending scientific information about their surroundings through the Deep Space Network (DSN) as they travel. 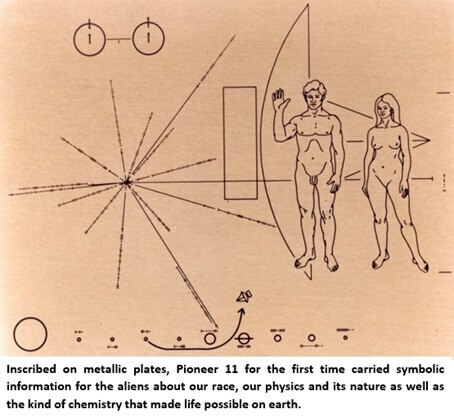 Prior to Voyager missions, Pioneer 11 for the first time carried information inscribed on metallic plates for intelligent beings of other worlds enroute. This information in symbols, images, signs, diagrams showcases our race on Earth, the nature of our physics and the characteristics of chemistry that generated life here. 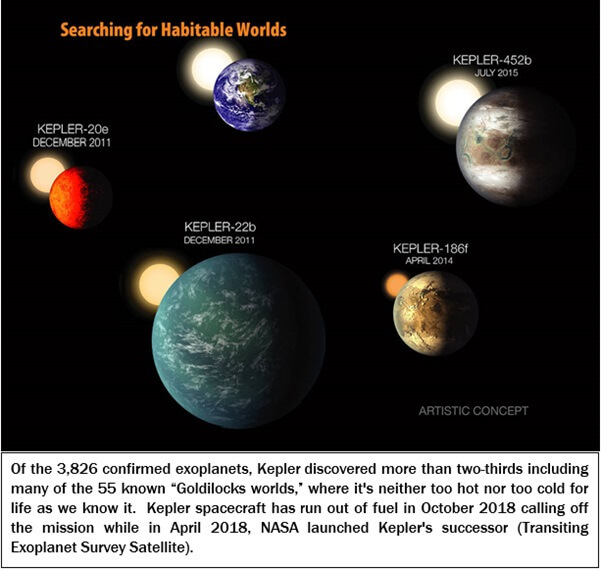 For the first time in history, the Kepler Mission [designed to survey our region of the Milky Way galaxy to discover earth-size planets in or near the habitable zone of G-stars] adduced the first planet rotating around a Sun-like star in 1995. By the end of 1998, discovery of another six planets made the possibility statistically viable that our Universe is a spawning Creation that homes tens of millions of abodes capable of generating lives and maintain them as good as earth does! The concept of advanced life and civilizations elsewhere in the cosmos has strongly been believed by philosophers and scientists alike in all ages. The central axiom of this faith lies in the confirmatory findings that the entire visible Universe is made of the same elementary particles, same physics, same amino acids that make life are abundant all through the galaxy we live in and possibly everywhere in the visible Universe. Water, the most essential ingredient, is also plentiful in other worlds! Planet hunters keep finding distant worlds that bear resemblances to earth. Some of the thousands of exoplanets [planet that orbits a star outside our solar system] discovered to date have similar sizes or temperatures. Others possess rocky surfaces and support atmospheres. Most of them even contain the same gas particles we need here on earth to maintain life. For about a century, scientists strongly have been believing that there is no question that we live in an inhabited universe that has life all over it and many of these forms of life are probably far more technically advanced than ourselves! Today the question is no more of ‘if’ as of ‘where’. Astronomers are so confident that using Drake Equation [currently updated by Sara Seager] they conclude that, alone in our Milky Way galaxy, on average 20 Sun-like new stars are born every year, and of them 10 have planetary systems, and at least one of those systems holds a lucky planet in the Green Belt of Life Zone. Out of 5 such lucky planets, one is blessed with life and out of all life possessing planets at least half of them developed civilizations trying to communicate with other worlds! Now imagine in 610AD, in the glooms of the Dark Age, an unlettered prophet, Muhammad (pbuh) from an unknown desert of Arabia revealed the most advanced facts of science those have become the frontline information of science in 21st century; they are indeed inimitable and accurate in all critical respects! Of them ‘life on other worlds’ have turned to be the ‘Darling’ of current science! Let me quote the Evangelist Association online dated 1st Feb 2018. 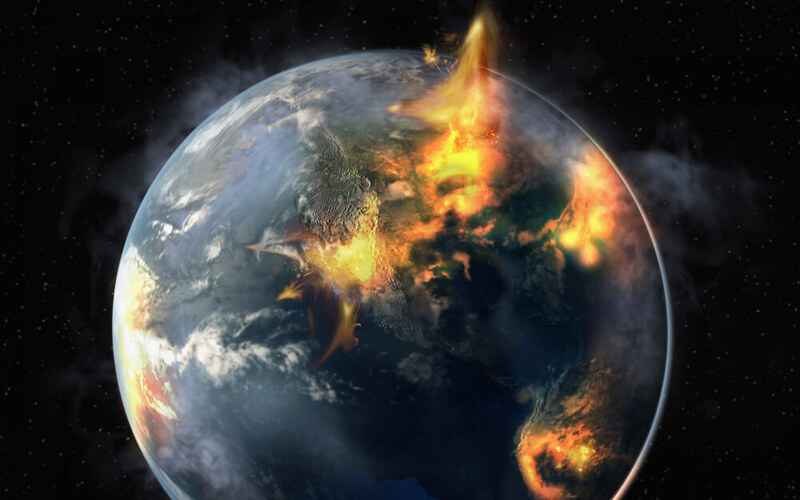 The questioner posed – “Does the Bible say anything about life on other planets? I’m fascinated by all the discoveries that have been made in recent years!”. One Billy Graham answers – “No, the Bible doesn’t say anything about the possibility of life on other planets………”. Be it a religion or be it science, NO SOURCE on earth provides any information in this respect. It is only Quran that inscribed the most accurate evidence on the annals of time in an unknown desert from the intense darkness of the Dark Age – some 1400 years ago! Though the first verse of Quran profoundly establishes the claim of life on many other worlds (“Praise be to Allah Who is the Sustainer of MANY WORLDS (Quran 1:1)”), here I want to take you to a specific verse in the Quran that solves the mystery of life on other worlds once for all! In Quran the Arabic word Sab’a is used to means seven and MANY. But the important information comes from the unfolding of the grammar used in this verse. Al-ard (الْأَرْضِ) is traditionally known as a singular noun. The word ‘mislahunna’ (مِثْلَهُنَّ) folds a critical information within – when it is used in a frame – “many heavens and similar number of Earths” – it allows, according to rule of Arabic grammar, to denote the use of ‘al-ard’ as plural by default though in many other places the same word is used as singular number. As such in places Quran proposes – “Saba’s samawati wal ard” can literally mean – “many skies and many earths”. And assuredly in case of 65:12 – the word ‘al-ard’ (الْأَرْضِ) is unavoidably a plural number! This is though, a lengthy discussion about the definition of ‘sky’ in Quran, what we note here is the plurality of the ‘al-ard’ (الْأَرْضِ) resulting in what is inevitable – our earth is not unique, there are many like it! Quran is the first and single proponent of the many worlds’ concept; it says, there are many other worlds where life like ours exists and God’s commands and blessings reach them as we receive. 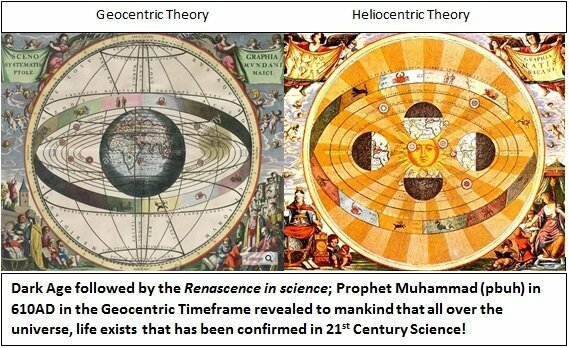 Science in 21st century bows down to the Quranic accuracy that descended in the early half of the Dark Age! 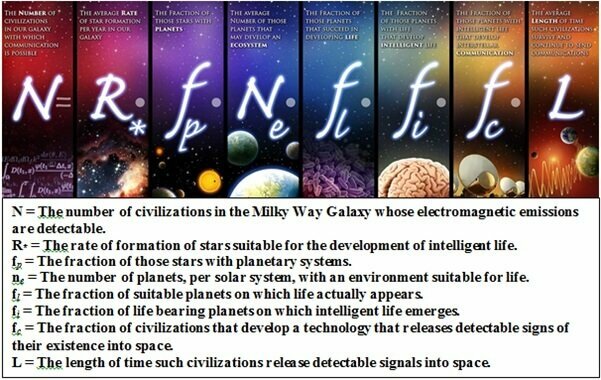 Science in 21st century became the follower of Quran conceptually in many respects; one is life exists on other worlds. Quran led and guided science to the truth. If life exists on other worlds, how far those worlds are? In 2015, NASA’s New Horizons completed its 3-billion-mile journey to Pluto after traveling for about 9.5 years. The spacecraft travelled at speeds 84,000 km/h. At that rate, it would take New Horizons about 55,000 years to reach the system of Proxima Centauri, the closest star after our own sun. If the nearest planet with a civilization existed in the nearest galaxy Andromeda, it would take the spacecraft over 2 billion years just to reach the edge of that galaxy. 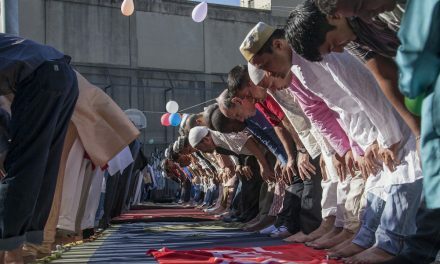 This endorses the monumental verse of Quran 55:33: “O the community of jinn and mankind, if you are able to pass beyond the regions of the heaven and the earth, then do. You will not succeed except by authority of the Supreme (or except acquiring supreme power)!”. This literally puts a full stop on human reaching other worlds using current technology.